Johannesburg business owners say their narrow profits are being severely impacted by Eskom’s stage four loadshedding which has gripped the entire country. Stage four was instituted after power imports from Mozambique were interrupted because of Cyclone Idai. The power outages have also caused traffic misery in some parts of the City of Gold – with traffic lights out. Residents have to find power alternatives amid the severe loadshedding. Business owners say they lose thousands of rand during the outage as there is no income. 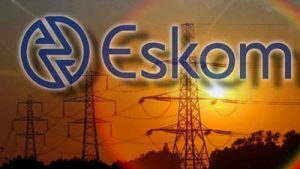 Eskom, which generates nearly all of the power for Africa’s most industrialised economy, said that it had cut 4 000 megawatts, double the 2 000 MW it had said would be cut over the weekend after repeated faults at its coal-fired power stations. The situation worsened on Saturday after a fall in electricity exports from Mozambique, which is cleaning up after a powerful cyclone knocked out communications and electricity pylons on Thursday. The post Johannesburg businesses severely impacted by loadshedding appeared first on SABC News – Breaking news, special reports, world, business, sport coverage of all South African current events. Africa's news leader..